Creating communications that can save lives for Drifire. 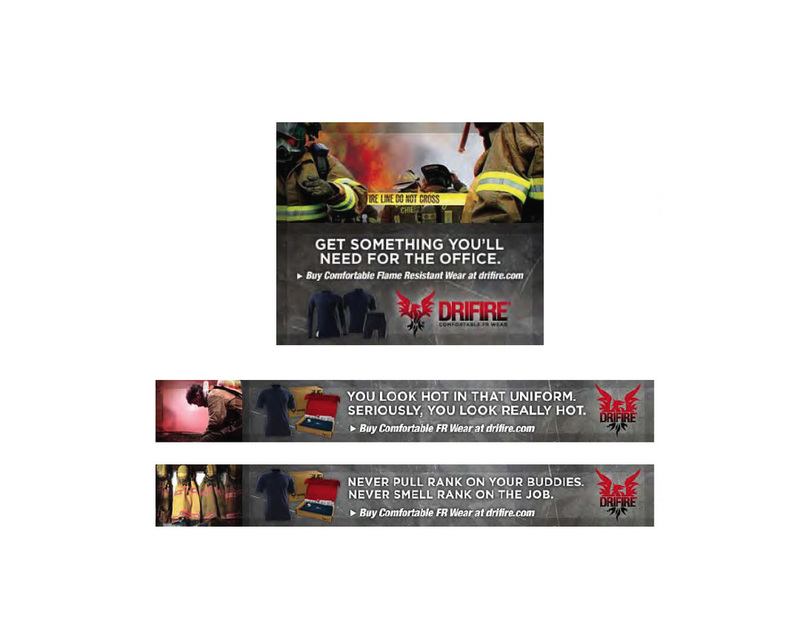 Drifire makes a unique line of performance clothing with multiple, seemingly contradictory, benefits like wicking and fire resistant for fire safety, the military and electrical lines maintenance workers. I created a unique brand positioning, an integrated campaign and sales tools to support the positioning – all with the purpose of bringing awareness of the life-saving benefits of this innovative perfomance wear. Creative Direction was done while I worked for Maddock Douglas.